Oh wow, oh wow! I was so looking forward to Sim and Freda coming together again for the second book in this series but it didn’t happen. What I got was a new more confident Sim fuelled with not just a mission but one that he knew was personally life changing. Don’t worry though old characters get plenty of pages that they make their presence known on, including Freda. 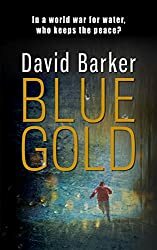 Now I would say to you please read Blue Gold first, this is a trilogy and how all these people are connected is very relevant. Terrorist and greed are still very much the base of all the troubles with the disregard for life over profit at its worst. 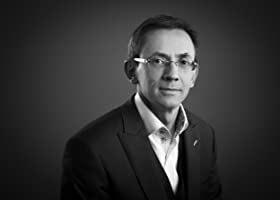 Focus is on the moon where mining is big business. Sim is dispatched there on the pretence of under taking an audit, with the carrot being he has found out he has a young son who is living there that he knew nothing about. This is again an all action story with Gopal and Rabten, the Gurkha and the Monk, stealing quite a lot of the action in some pretty spectacular ways, one that draws Freda back out of retirement at great cost. Love this lady that certainly knows a few moves and isn’t afraid to use them no matter how big her opponent. This is such a busy book that covers every angle, including the bad guys at the top so when a reporter pushes a little too much with the right question to the wrong person it has dire consequences. I do though still have to laugh to myself at some of the scenes involving the lovely Jessica. Talk about using your assets, I did have to giggle a little, she is one sassy lady with a mighty punch! These scenes worked really well in the story bringing a little light humour into play as there were some tragic scenes that really got to me too. Sim is definitely the main character though and really comes into his own. It really was great to get to know him more, as Freda is a rather large personality in any story line that she appears in. This is again a belting story from David Barker with the research abundant throughout, all woven into the story in a fascinating way. Loving this series and looking forward to where book three will take me. Quite an ending both for professional reasons for some and personal reasons for another! Superb! I wish to thank David Barker Author and Urbane Publications for a copy of this book which I have reviewed honestly. I live in Berkshire with my wife, daughter and three pet rats. I spend half my week travelling into London where I work as chief economist for an international fund, and spend the other half writing at home. 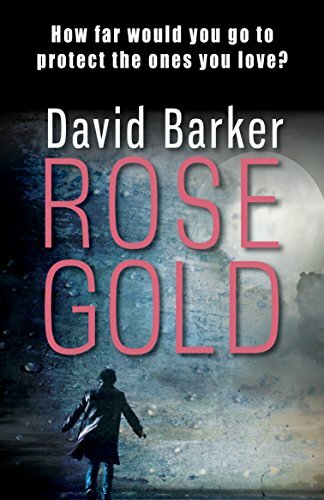 My debut, Blue Gold, was published by Urbane Publications in May 2017 and its sequel, Rose Gold, is scheduled for May 2018. I attended the Faber Academy How to Write a Novel course in 2014 with the best-selling Ali Land (check out Good Me, Bad Me). And I appear on the Radio Berkshire monthly show Radio Reads with Bill Buckley and Claire Dyer.